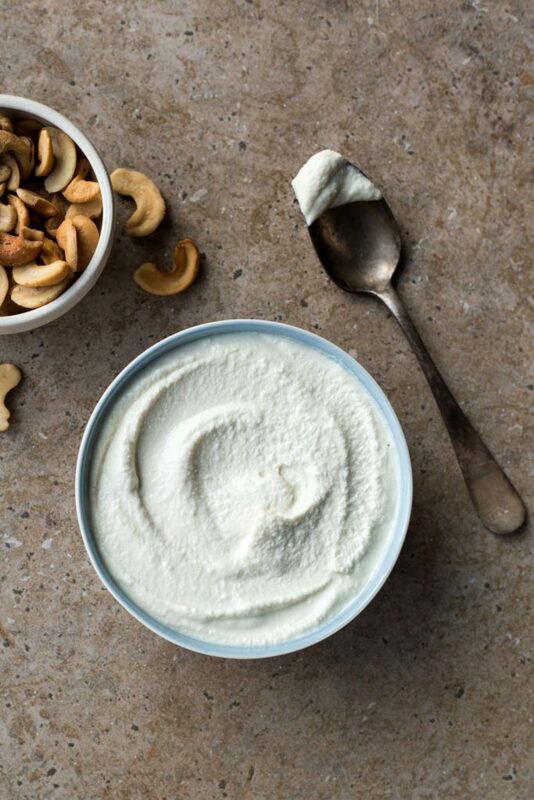 This is my basic cashew cream sauce. Feel free to add a few other spices or ingredients to switch things up a bit. Sometimes I’ll keep the consistency on the thicker side so I can spread this on toast, sandwiches or even pizza (think “hippie” ricotta cheese). Other times I’ll add more liquid so I can drizzle this into soups, grain bowls or roasted veggies. Drain the soaked cashews and run them under cold water. Place into a high speed blender with the water, garlic, lemon juice and salt. Blend on the highest setting until completely smooth. If the sauce seems too thick, add additional water to thin until you reach your desired consistency. Taste test and adjust seasonings if need be.